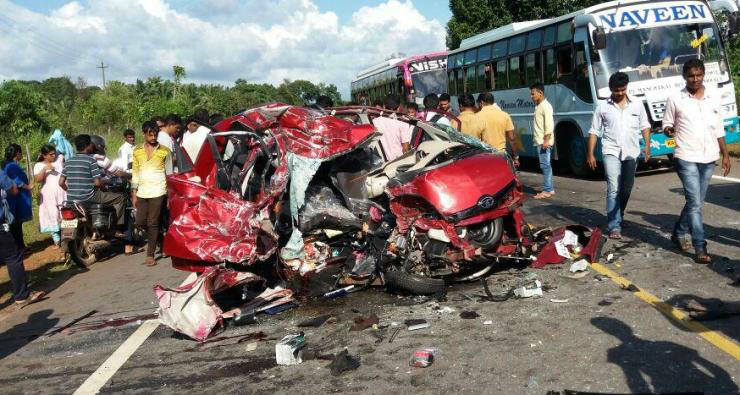 India is a country which has the highest number of fatalities due to road accidents. Lack of road disciple and overtaking without knowing where to are major reasons for this. A tragic accident occurred on 5th October in Karkala, which saw a mother-son duo lose their life. 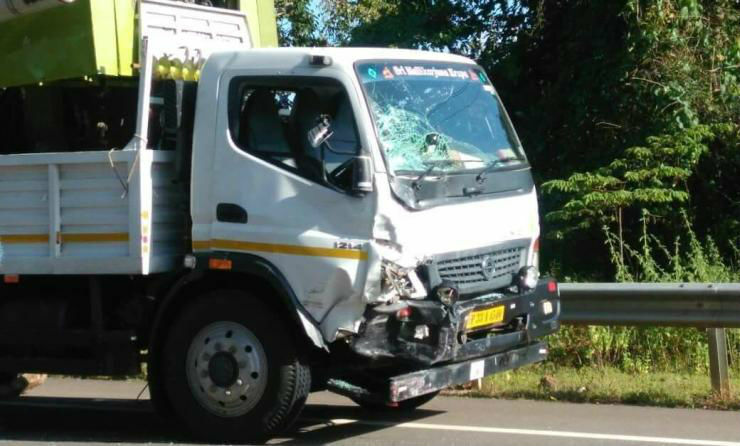 The duo were on their way back after getting their new Tata Nano serviced when the car collided with a loaded truck coming from the opposite direction. Since the impact was against a massive truck, the Nano didn’t stand a chance. Notably, the Nano has a zero star Global-NCAP safety rating, due to an unstable body structure. The authorities had a tough time removing the bodies from the mangled vehicle as well. After the collision, the truck driver fled from the spot but later surrendered. From the images of the car, it can be seen that there is a ‘L’ plate which makes us believe that the driver (a 22 year old engineering student) was still learning to drive. Though it is not yet clear who was at fault, there are signs to indicate that overtaking was a major cause of the accident. Know your car’s limitation. In India, we don’t have powerful cars in the mass market. So, you have to first figure if the car you’re driving is capable of a high speed overtaking maneuver, safely. Also, if you vehicle is loaded with luggage and people, performance will take a dip. So keep that in mind as well. Know where to overtake and where not to. Indian highways are filled with people who don’t know to drive properly. If there is a cut or turn coming ahead, it is advisable to slow down and not overtake since people blindly cut across. Also, follow road markings. If there is a single white line which is broken, it means overtaking is possible as long as you have clear vision ahead. If there is a solid line with no cuts, it is not meant to be crossed unless there is something that is broken down on your side of the road. Such a road is not meant to be overtaken on. Never overtake on turns. Since the vision is blocked, neither you can see ahead nor the guy coming in the opposite direction can. Make sure to be visible. If you are pulling an overtaking maneuver and see another car coming at you, honk, flash and indicate to make your presence known to him. In some cases, this can prevent an accident.